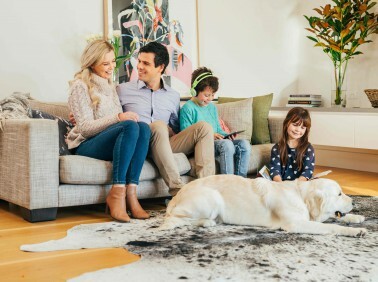 MyHome Kew East uses a complex dry-touch rug and carpet cleaning system that leaves your carpets dry enough to walk on in only one hour. These cleaning solutions are combined with Healthguard so that we can easily get the mould, fungi and bacteria out from your carpets. These cleaning methods also restore the natural brightness, colours, softness and ultimately the natural balance to your carpets too. MyHome dry touch does not leave behind chemical odours or bad carpet smells. However, after each cleaning, you will notice a fresh, lemony smelling carpet. To avoid distortion of your carpet, MyHome Kew East does not make use of strong chemicals and huge amounts of moisture and heat. We also thoroughly vacuum your carpet before the cleaning service to ensure the best results. The people in Kew East who use carpets have their reasons. Some of them enjoy the warmth of the carpets and others enjoy the cozy atmosphere that carpets bring to the home. Lots of people also enjoy the variety of carpets on the market today. Carpets don’t just look good but they also keep your home insulated and can save you money on electricity bills. If you have kids and pets that play in the home, carpets can help to keep them safe and warm. If you have carpets inside the home you definitely will need to keep them clean and sanitised at all times. One way of doing this is by hiring a professional carpet cleaning company like MyHome to get your carpets cleaned and sanitised. Having your carpets routinely washed will keep them looking great for a long time and save you money on having to buy new carpets or rugs sooner than you would like to. By hiring MyHome Kew East you will also be making use of an innovative cleaning method that leaves carpets dry in only one hour. This is because we don’t use of loads of water when washing your carpets. We are very confident that you will love our MyHome Kew Carpet Cleaning service. We guarantee that we we will do it again free of charge if you are not completely satisfied with our service. 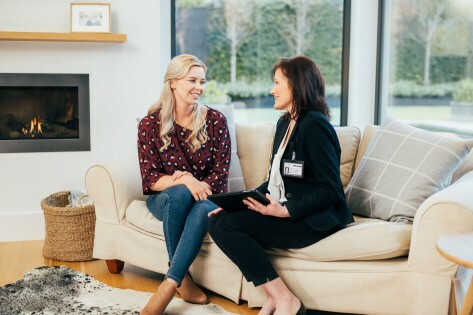 The thought of cleaning your carpets might seem like a simple task, however choosing an appropriate carpet cleaning company in Kew East is more complicated than you may think. The reason for this is that most carpet cleaners make use of the hot water extraction system and this uses a combination of hot water and chemicals to clean your carpets. The end result is damage to your fabric and carpet fibres as well as leaving behind damp residues, chemical odours and so on. If you want a competent carpet cleaning company, simply reach out to us by calling on 13 22 31 and schedule a free, no-obligation quote. Alternatively, you can send us your enquiry online and we’ll get back to you as soon as possible.